What are the options/features available? Does it fit with our current and future business requirements? What are the benefits of STRUMIS? It’s these questions that we’re asked time and time again. Amana Industries is the steel fabrication arm of Amana Group. They boast a long-standing and established reputation for servicing the industrial and commercial construction sectors across the Middle East. 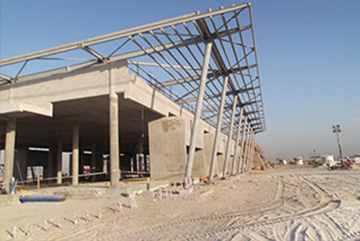 Amana Industries estimate, design, fabricate and erect specialized steelwork throughout the Middle East region. Amana Industries came to STRUMIS with the requirement of finding an improved method for managing projects. When they opted to implement STRUMIS they were provided with a greater degree of accuracy and efficiency, along with subsequent productivity gains. With its investment made in STRUMIS, Amana Industries are now in a confident position to expand their facilities and accelerate their business growth across the Middle East, all at a crucial time now that Dubai has been awarded EXPO 2020. With key features readily available within the system, Amana Industries were keen to deploy STRUMIS fully and use it to its maximum potential. They've trained all their necessary staff and use it across departments in order to ensure they maximize the potential return on the investment. With this keenness to ensure it’s being utilized fully, STRUMIS will train any individual/group of users with an in-depth and tailored training service. Overall Amana Industries are resolutely impressed with how STRUMIS enables workflow and automation leading to greater efficiencies, material and labor processing savings. All enabling greater profitability with enhanced productivity. STRUMIS, integrates with all leading 3D detailing systems/BIM authoring systems, such as BIMReview. Making the population of the system, for tasks such as estimating, almost instantaneous, minimizing risks of error and integrating workflow between engineering and estimating. Amana Group is a leading group of companies with a long standing and established reputation for servicing the industrial and commercial construction sectors across the Middle East. 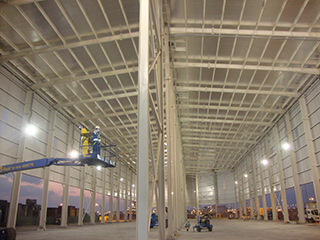 Amana Industries is the fabrication arm of Amana Group , and one of the leading manufacturers of steel structures in the UAE, it is focusing on giving its clients a total steel solution covering design, supply and erection.